Traditionally at Lea & Sandeman we have always closed our doors for the four day Easter holiday so that we can all take a well earned break and enjoy the seasonal weather. It might not be seen as commercial good sense, when most other retailers are cashing in all the hours they can legally trade, but it allows us to spend time with our families at a time of year when most other sensible people are doing the same. 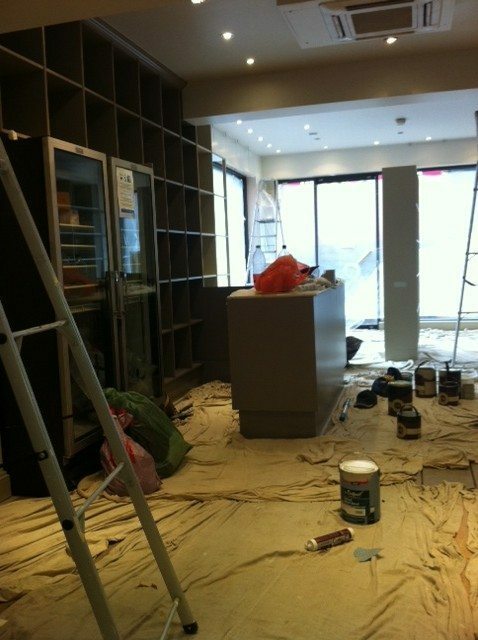 This year, however, we have a double agenda as we have chosen to redecorate our Fulham Road shop (and office). This meant removing stock on (Maunday) Thursday afternoon and early evening, which caused considerable consternation as many of our local customers rattled on the door, not only to buy last minute wines for the holiday, but also to seek reassurance that we were not closing down. I can assure you that we will be open for business again from Tuesday, although we have to put a staggering number of bottles back onto the shelves – well over 2000! 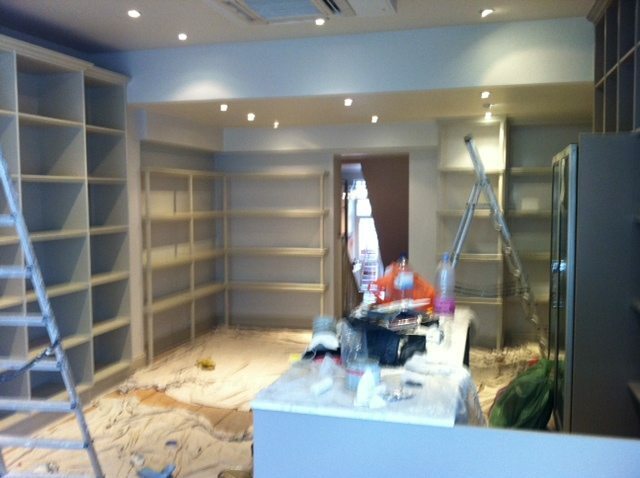 As you can see from these pictures taken earlier today, the decorators are well ahead of the game, and we will be in early to have eveything even more shipshape and attractive than before. Having said that, I bet that most of our customers will not even notice the difference. But we will.